If you have a negative or a print we can scan it. We have a service that will suit any need from economical to the highest quality. Scans are from photographic prints ranging in size from wallets to 8x10 in colour or B&W result in files 300 DPI at size, RGB jpgs with low compression. All images returned on CD as jpeg files. The most economical way to transfer negatives or slides to digital format. This is available from 35mm, APS and 120 negative or slide film. With this service we can scan your roll at the time of developing or transfer from your existing images. The most inexpensive method of scanning prints. These scans are suitable for viewing images on computer and making smaller print sizes. Scans are from photographic prints ranging in size from wallets to 8x10 in colour or B&W result in files 300 DPI at size, RGB jpgs with low compression. All images returned on CD as jpeg files. You can also have the images uploaded to the Don's Online Print Service PLUS to share with family & friends. 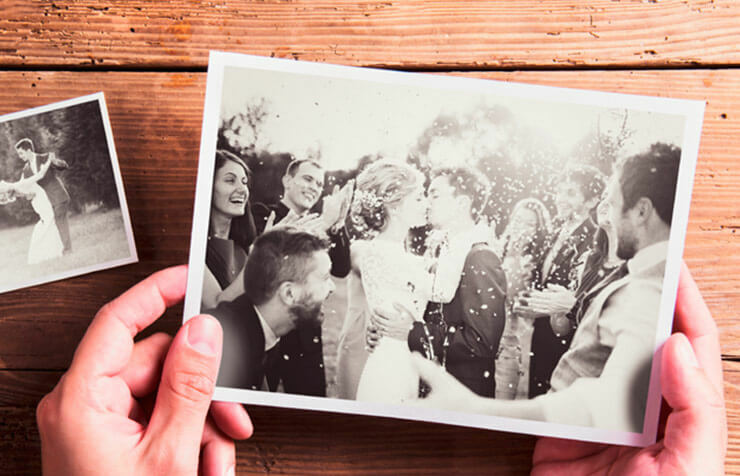 Prints cannot be smaller the 2.5x3.5 inches & cannot be mounted or on paper thicker than normal photographic paper. Images should also be free of dust, free of tears, tape, staples & any other defects that can interfere with the scan. Please NOTE! Prints must be in good condition for the Shoebox Scan Rate. Clean prints, no folds or creases allowed. Pro scans are for when you need the best possible scan. We scan Colour or B&W negatives and slides from 35mm to 70mm. These RGB, 8 Bit, Adobe 1998 scans are scanned with digital ice and are dust busted in Photoshop. Each file is carefully optimized and saved as a tiff onto a CD-R. Quantity categories are for a variety of negs or slides. * DVD-R are not compatible with all movie DVD players, DVD-R are to be read on a home computer. Don's restores old Photographs. Using the latest digital imaging equipment we restore tears, blemishes, cracks, restore colour and fix faded prints. We can remove or add people or other elements to photographs, with no harm to the original photograph. All work is saved to a digital file and returned to you on a CD. We have created five categories of retouching, and the price of the job is quoted before the work has begun. While we can scan any image up to 11x17 on our professional flatbed scanner we can digitally copy any oversized print or artwork. All work is saved to a digital file and returned to you on a CD.